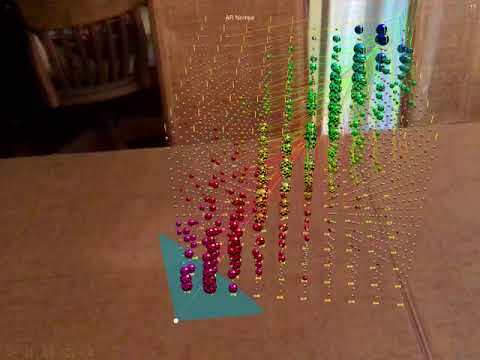 So finally implemented my km3net neutrino telescope event display program in AR. Using Craft the code size is dramatically reduced and much simpler compared to that which i had previously. 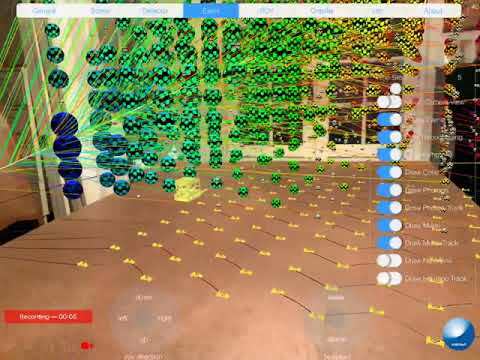 Runs at 18 fps for 1800 spheres on ipad pro 12.9 first version. @piinthesky Nice example of AR. Due to issues with dynamic bodies and torque in AR, I switched back to using the @ignatz flight class for the ROV flythrough in AR. Can also drive a crawler through the telescope. 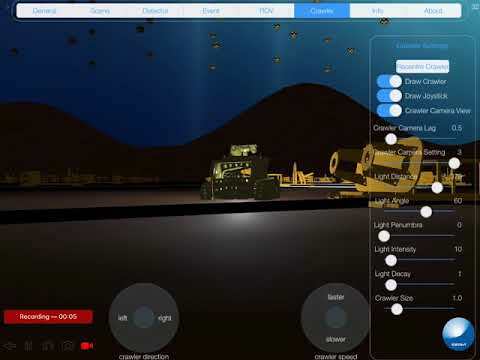 @piinthesky that looks amazing, especially the crawler driver through, how are you doing that underwater effect? Can you tell us what the spheres represent in the visualisation? What's the particle which passes through the spheres? @simeon the godrays are extracted from a shadertoy shader ‘beneath the sea’ by zel. The shader is drawn to an image, which is then used as a texture on a large sphere centred on the camera. In reality at the depths of the telescope (>2500m) it is completely dark-but the god rays look nice! The spheres are glass spheres with photomultipliers inside that detect the Cherenkov light emitted by the high energy muon particle as it passes through the seawater. The muons result from the interaction of neutrinos in the vincinity of the telescope.